The fast-drying Cool Max Puls provides the superior, patented metal support of all Robby's Originals with the added assurance of dryness and comfort that can offer a competitive edge. The Cool Max Plus combines the benefits of Robby's Cool Max with a longer, firmer design of Robby's Plus. The fast-drying Cool-Max model provides the superior, patented metal support of all Robbys Originals, with the added assurance of dryness and comfort that can offer a competitive edge. 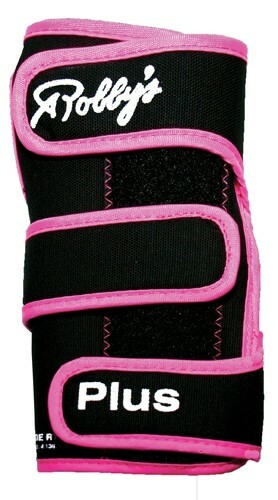 Due to the time it takes to produce the Robbys Cool Max Plus Pink Right Hand ball it will ship in immediately. We cannot ship this ball outside the United States.